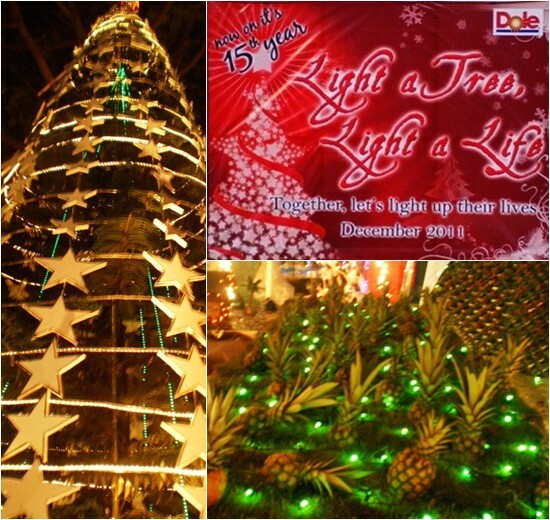 Nine (9) giant Christmas trees within the Dolefil Cannery compound in Polomolok, South Cotabato were officially lighted last December 7, 2011 in a simple yet very meaningful “Light a Tree, Light a Life” program. One of the many corporate social responsilbilty program of Dolefil , the Light a Tree, Light a Life is now on its 15th year, it is an inter-division contest divided into two parts, the first part is the fund raising- a race among all 9 divisions of Dolefil wherein Dolefil employees donates funds to purchase items for their identified charities. Dolefil will then tally the total amount raised by each divisions and matches it. The matching fund from the Light a Tree, Light a Life will then be used to finance projects that will benefit their recipient institutions in the region like the St. Lawrence Kalinga Foundation, Inc in Koronadal City, St. Gemma's Orphanage, Home for the Aged, Home for the Children, and the Marcellin Foundation among others. 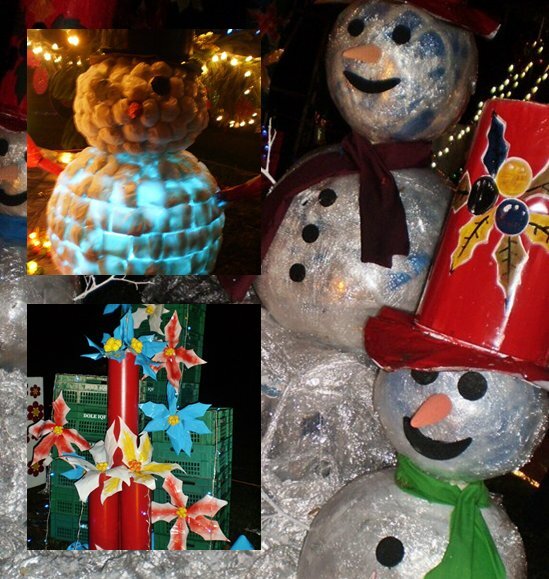 The second part of the Light a Tree, Light a Life is the Christmas Tree decorating contest wherein company’s scrap materials, used and recycled plastics, cans, etc. were turned into Christmas decoratives. Present during the lighting of the 9 Christmas decorated Norfolk trees for the Light a Tree, Light a Life program were employees of the nine different divisions of Dolefil, childrens/ representatives from different chosen orphanages and home for the elders in Soccsksargen, members of the Soccsksargen Bloggers, Dole Philippines Inc. VP and Managing Director Simon Denye and guests. The program was hosted by Ms. Gwynee Ebol and Aethan Yting.